Malaysia is an exotic nation in Southeast Asia. Home to over 30 million residents, it is a country split in two by the magnificent South China Sea. Malaysia offers you scenic jungles, gorgeous cityscapes and a diverse culinary experience. Top attractions include the Petronas Twin Towers in Kuala Lumpur, Langkawi Cable Car and Sipadan National Park in Semporna. Get ready for the adventure of a lifetime, because cheap flights to Malaysia are now available for a limited time! Malaysia’s hub airport is Kuala Lumpur International Airport (KUL), a 40-minute drive or a relaxing 30-minute train ride from the city centre. Go on a tour and discover all the beautiful temples and cathedrals of Malaysia, such as the Thean Hou Temple in Kuala Lumpur, the St. Francis Xavier Church in Melaka and the Kek Lok Si Temple in Air Itam. 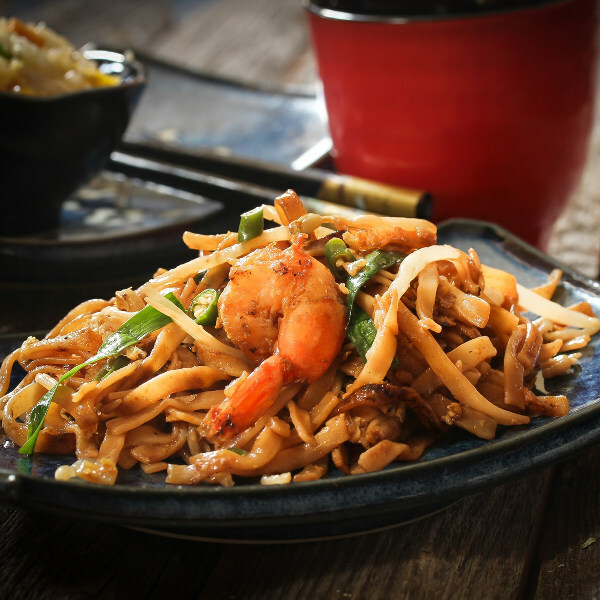 Explore the streets of vibrant cities like Kuala Lumpur and peruse the numerous stalls offering tasty dishes from around the world, including fare inspired by Malay traditions, such as char kway teow and nasi kandar. 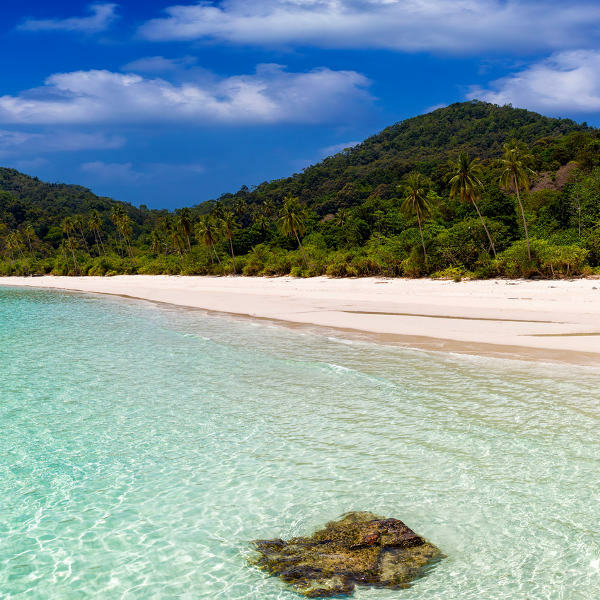 Take in the wonderful picture that Malaysia’s many beaches offer: pristine white sands, clear waters and unrestricted views towards the horizon. Some of the best stretches of shoreline include Redang and Long Beach. Malaysia’s weather is characterised by humidity and high temperatures throughout the year, and two distinct seasons: the wet season (October – April) and the dry season (May – September), which still brings rainfall (though significantly lower). If you prefer to skip the crowds and high hotel rates, avoid visiting Malaysia between late-May and mid-June and between late-November and the end of December. For a more relaxing time in Malaysia, visit between March and June. 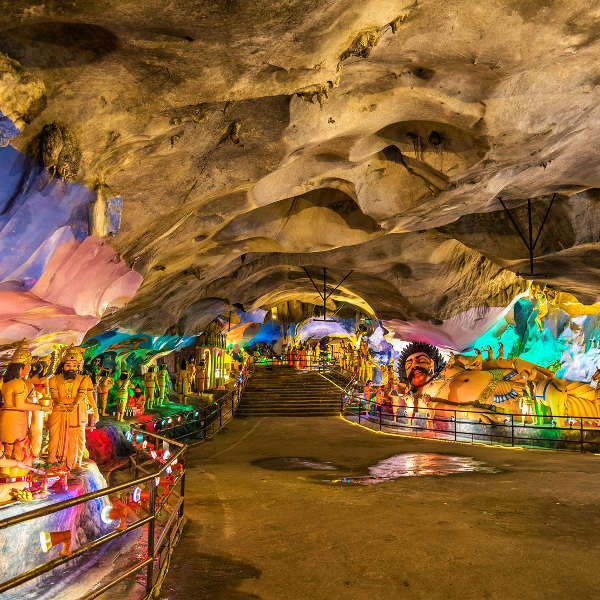 You’ll avoid the worst of the rain and humidity, plus you will have the pleasure of exploring this nation’s many attractions without having to wait in long lines. Prepare for one of the best holiday experiences ever in the beautiful Asian country of Malaysia. Explore vibrant cities, incredible jungles, and alluring islands, admire unique colonial architecture and charming tea plantations, and discover fascinating and exotic wildlife. The coastal capital, Kuala Lumpur is where you will find impressive contemporary high-rises and a fast-paced nightlife. Indulge in an adventure of taste with the various street vendors offering sizzling dishes with inspirations from the Malay, Indian, Chinese and even the Western. Top attractions of this destination include the Islamic Arts Museum and the Kuala Lumpur Tower. Another urban treasure on the coast of the western peninsular of Malaysia is Penang. Discover beautiful temples and lovely palm-tree-lined beaches, such as Batu Ferringhi and Tanjung Bungah. Other major sights of this metropolis are the Penang National Park and the Cheong Fatt Tze Mansion. The breath-taking archipelago of Langkawi is best known as a tropical paradise. Indulge in a relaxing time at one of its charming beaches while admiring the view of the clear waters. Leading attractions include the Kilim Karst Geoforest Park and the Langkawi Sky Bridge. Discover more tranquil settings with a visit to the village of Ba’kelalan, which is situated in a gorgeous valley in Eastern Malaysia. It is a popular final destination for scenic hikes from the collection of villages of Bario. Ba’kelalan additionally provides wonderful opportunities for birdwatching, with the island of Borneo including approximately 650 different species. Compare several airlines and book your cheap flights to Malaysia online at Travelstart! Before departing for Malaysia, make sure to receive all the routine vaccinations. Check with a doctor for more information. There is no threat of yellow fever in Malaysia, but should you be travelling through or from a country where this disease is a problem, the Malaysian government requires proof that you have received the necessary vaccination. • When walking in public, keep your valuables close and out of sight (for women, avoid wearing jewellery and handbags at the hip). • Should you feel you are in danger, approach any policeman (the standard of police service in Malaysia is high). • Reject any offer of scratch-and-win tickets (scam artists will try to get you to make an advance payment to claim your prize). • When walking on the side of the road, make sure you are always facing oncoming traffic.